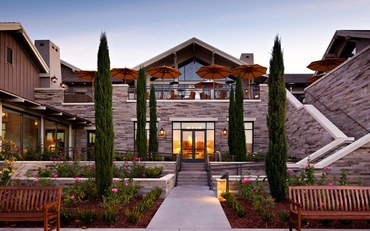 Rosewood Sand Hill is positioned just 35 miles south of San Francisco and 14 miles north of San Jose in Menlo Park. The luxury hotel is located in the heart of Silicon Valley and is one of the finest hotels near Stanford University. Situated on 16 acres of gardens and courtyards at the foothills of the Santa Cruz Mountains, guests are within easy reach of a diverse and rich choice arts, entertainment and experiences to suit all interests.